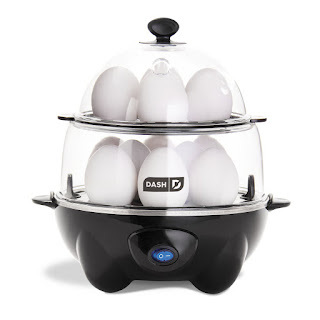 Today only, while supplies last, get this Dash DEC012BK Deluxe Rapid Electric Egg Cooker for ONLY $17.99 (Retail $39.99)! Healthy living starts today with the Dash Deluxe Egg Cooker. Cook hard, medium, or soft boil up to 12 eggs at a time, poach, scramble, or make fresh customized omelettes. Perfect eggs, your way, every time.